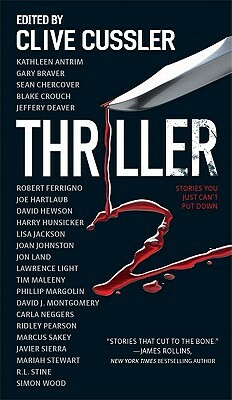 When some of the top thriller writers in the world came together in Thriller: Stories to Keep You Up All Night, they became a part of one of the most successful short-story anthologies ever published. The highly anticipated Thriller 2: Stories You Just Can't Put Down is even bigger. From Jeffery Deaver's tale of international terrorism to Lisa Jackson's dysfunctional family in the California wine country to Ridley Pearson's horrifying serial killer, this collection has something for everyone. Twenty-three bestselling and hot new authors in the genre have submitted original stories to make up this unforgettable blockbuster.